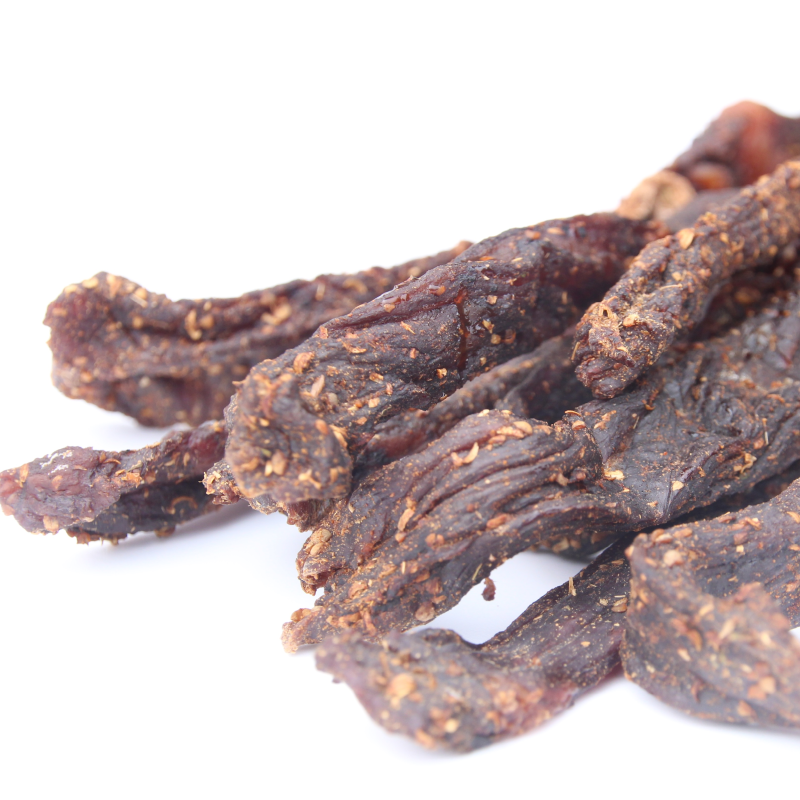 Our hand cut biltong is all made in house from British and Irish beef silverside and the finest spices. 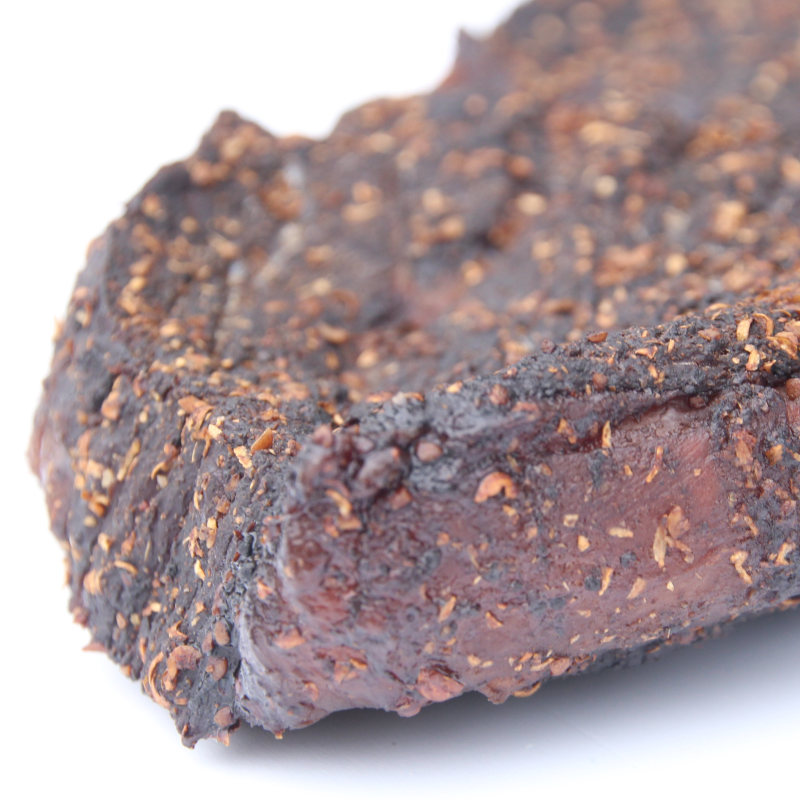 We cut our beef thick so that the centre remains slightly moist and to maximise the beefy flavour of the biltong. You have a choice of texture and fat content and whether you want it sliced or whole. Price per 100 gram. 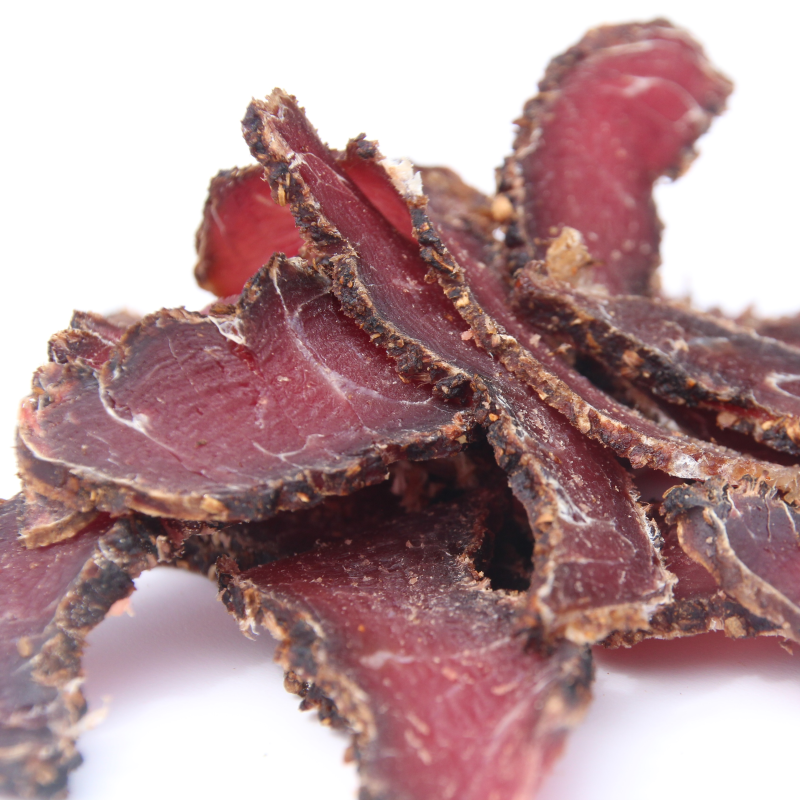 Our hand cut biltong is all made in house from British and Irish beef silverside and the finest spices. 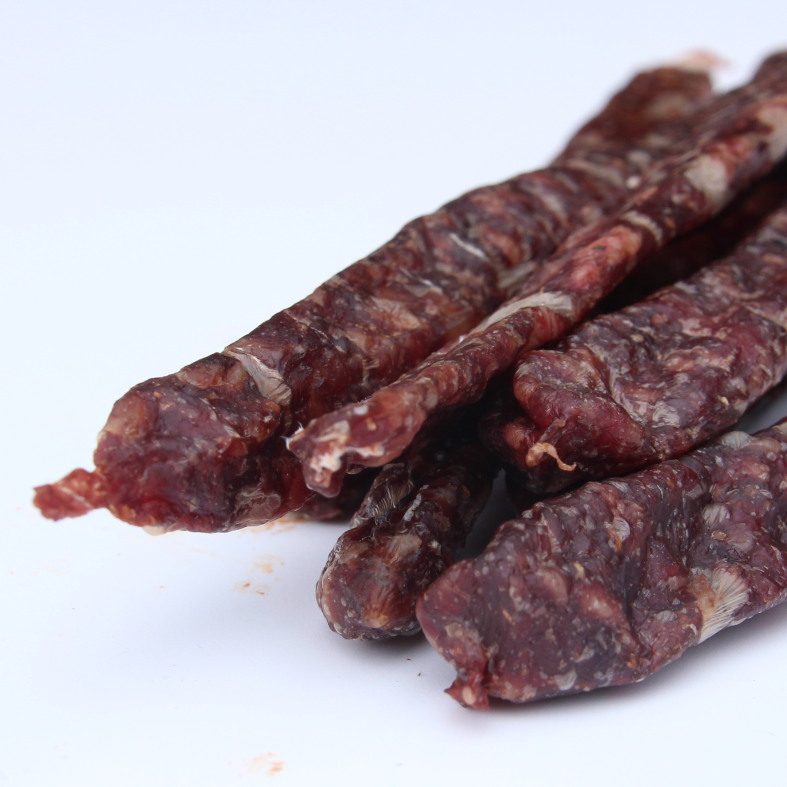 We cut our beef thick so that the centre remains slightly moist and to maximise the beefy flavour of the biltong. You have a choice of texture and fat content and whether you want it sliced or whole.